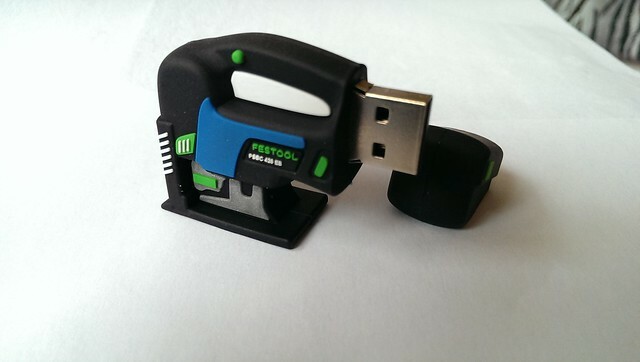 What festool promotional or rare items do you have ? Re: What festool promotional or rare items do you have ? Begin with the TS55 like almost everyone, now i can't stop ! Game of cards anybody, or maybe some toast, from my collection. is that toaster for real ?!?!?! who would have thought you could get a festool toaster! Was that sold on April the 1st? ?? Domino, OF1400, CT26, TS55, RO150, MFT3, RTS400, PSB 420 EQB Set. not only a real toaster but it burn an image of a sander on to your toast. Outstanding!! I can't wait for them to make a coffee machine or have I missed that one too. Re: Re: What festool promotional or rare items do you have ? Can you tell what this is ? It was in my of 1010 systainer when it returned from festool uk today. Do any of buttons etc work? Does 'battery end' come off? Does that (to my eyes) mechanism work? Can you eat any of it? Apart from being an "objet d'art" - where might you use it? Oh yes - any prize for getting it right? Decent people do the right thing - always? Why do Festool accessories only have a two month guarantee here in the UK ? Yes - think I was getting a bit carried away. Like the idea of eraser. It's all solid isn't it - no gap where the handle is. Came in Systainer - wonder whether just chucked in, or if, very neatly fitted into a gap. Maybe some sort of exotic Festoolian packing piece??? All wrong so far, I thought it was an eraser too until I popped the battery off the back to reveal a surprise. Does it have mints/sweets inside? Re: Re: Re: What festool promotional or rare items do you have ? A usb stick with info about the 420 and various other things. Beat me to it. I was just going to go with pencil sharpener or USB memory stick. lucky man ! sweet usb key - but why blue ? How do I get one of those? Somewhere to store info' about Festool stuff generally? Not sure if this qualifies, but this ruler was given to me by my dealership owner to sweeten the deal when I purchased a ETS125 sander back in late April. And it sure has been handy. Thank you for your consideration FestoolFootstool! Imagine coming home to find this in the mail box? How cool is that? Way cool. Your kindness is appreciated. Thanks again. Superb Store - Beyond Tools Perth. I think my Promo Stuff is growing as quickly as my tools. So who gives out these promos and why don't I have any? Great score today via the UK eBay site! 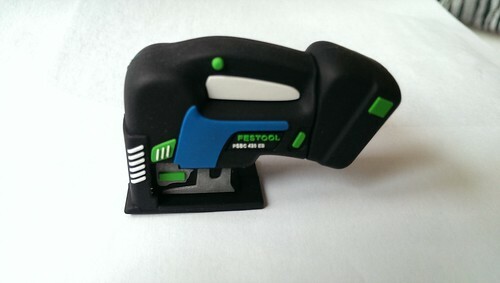 Limited edition Lledo CT Mini Cooper for Festool. Got it for what I think is an excellent price too. Starting to build a pretty decent collection of logo stuff! I didn't realise they were numbered, I've never taken mine out of the box! Keep your eye out for the radio controlled R8. I got one but it was slightly damaged in transit so my son has it as a "real toy" now.